Well, you’re sitting there with a video file you can’t use because it’s stuck in a format not recognizable by the editing program you’re using. Bummer, right? Don’t go looking for an expensive piece of software you may only use a handful of times. Instead, take a look at these Top 5 Mac OS Sierra video conversion tools which are completely free and surprisingly full-featured. 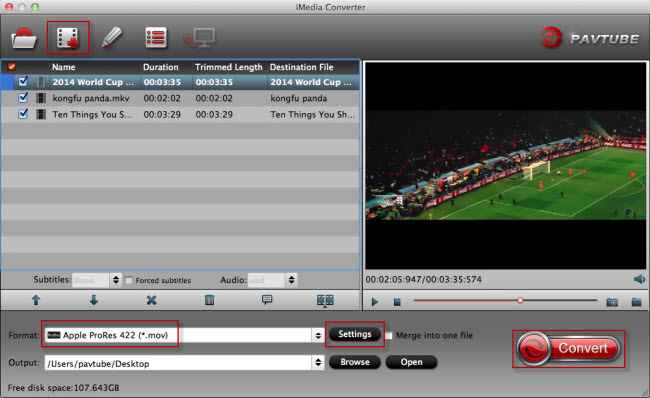 Miro makes video conversion extremely simple, and for those who want ease of use it’s hard to beat. Miro accepts tons of popular video formats including FLV, AVI, MKV, MP4, WMV, XVID, and MOV, and it also supports batch processing of groups of video and movie files, even if they’re different formats. If you are just looking to make a movie compatible with the myriad of other devices out there, it’s a great simple choice. Miro takes the technical names and confusing aspects out of conversion as much as possible, instead referencing the intended viewing devices rather than movie format types and resolutions. You’ll find support for Apple TV, Universal, iPad, iPad 3 (HD), iPhone, iPhone 4 (HD), iPhone 5 (HD wide), iPod nano, iPod touch, Android devices from HTC, Motorola, Samsung, Sanyo, or any other device by video size, Kindle Fire, PSP Playstation Portable, MP4, Ogg Theora, and WebM HD & SD. 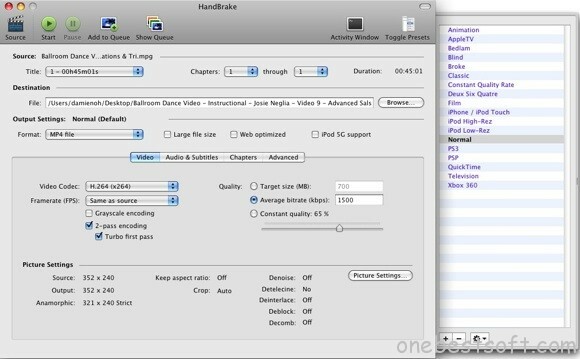 Handbrake is really fast, but ultimately the speed of all of these converter utilities depends on the speed of your Mac OS Sierra, and the length of the video. If it seems like conversion is taking forever, consider quitting out of other apps to free up processing power and system resources to get the job done quicker. MPEG Streamclip is my converter of choice and it has never let me down. It’s hard to believe that MPEG Streamclip is free to use, such is its power and range. It can convert just about anything from DV to AIFF and it even handles audio too. There are a lot of preferences for professionals but its straightforward enough for beginners to use too. I find it invaluable when needing to convert footage for editing. How to use MPEG Streamclip Mac OS Sierra? Drag and drop the file you want to process on top of the main window. Then select the modifications you want to perform to that specific video. Once a video is loaded you can view and modify things like the Video PID, Audio PID and Audio mode as well. If drag and drop is your thing, then ffmpegx is for you. Unlike MPEG Streamclip and HandBrake, ffmpegx doesn’t allow you to see or preview video but it does support simple dragging and dropping of files into the interface for conversion. It couldn’t be much easier. It is however very complicated if you beyond that and only experts will need many of the preferences it allows you to configure. Converting files for iPods is one of the most common reasons people need a video conversion tool. 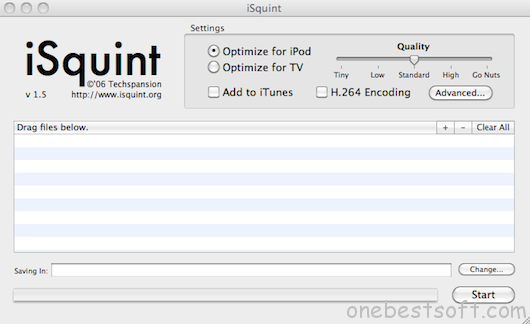 Few do it quicker or better than iSquint. iSquint also supports drag and drop and you might even find it can handle files that none of the above have been able to convert as it does seem to convert absolutely everything. The only downside is that for now, the developer has suspended support for it (not that you’ll probably need any). From above, which one do you prefer? In fact, there are many vital factors you should concern in the process of selecting the top free video converter. How to Choose Video Converter for Mac OS Sierra? As the best Mac OS Sierra video converter, it isn’t worth its weight unless you can easily convert videos for Mac OS Sierra between dozens of different file formats. especially the most popular ones, like MP4, MOV, AVI, FLV, WMV, 3GP, WebM, as well as the increasingly pervasive HD video file formats. Most video converting software can perform basic tasks quite well, but as superior video converter for Mac OS Sierra, it should make the converting process with ease. That is to say, the video converter you choose should only need you to click rather than to type, thinking or doubt. Regarding the speed, you could check whether it supports multi-CPUs and hyper threading technology, If it does, it probably converts fast. What’s more, the best free Mac OS Sierra video converter should give you the freedom to clip, split or edit your video files so the output files could perfectly fit your needs while without sacrifice the video quality. For professional users, flexible parameter setting are also important to customize output parameters for target files, like bitrate, frame rate and sample for output audio files. Overall, this all-in-one macOS Sierra app tool can easily handle pretty much anything threw at it and then spit it back out in a new format with the fastest encoding speed, while limits the loss of quality as much as possible, so you can view your videos on virtually any device including iPhone, iPod, iPad, Android, Blackberry, Windows device; playing converted videos via any media player software; edit videos files for further use.